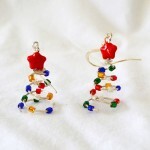 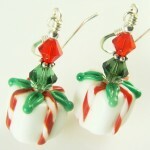 Christmas glass bead earrings using SRA Artisan Lampwork beads featuring red, white, and green. 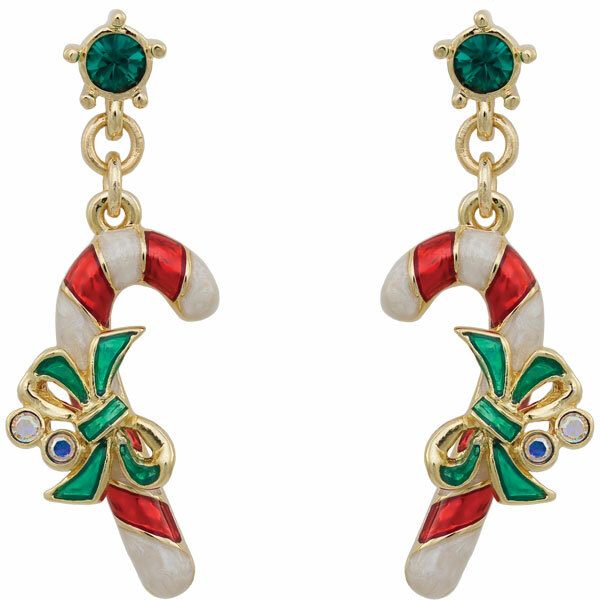 These dangle earrings represents a Christmas present wrapped with red and white ribbon with green bows. 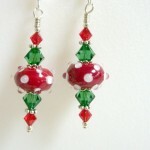 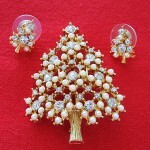 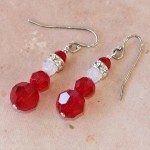 These Christmas earrings are completed with swarovski crystals and sterling silver findings.